Every cell in your body responds to the hormone insulin, and if that process starts to fail, you get diabetes. In an unexpected finding, Harvard Medical School scientists at Joslin Diabetes Center have identified four viruses that can produce insulin-like hormones that are active on human cells. The discovery brings new possibilities for revealing biological mechanisms that may cause diabetes or cancer. “Our research may help open up a new field that we might call microbial endocrinology,” said Emrah Altindis, HMS instructor in medicine at Joslin Diabetes Center and lead author on a paper in the journal PNAS on the work. “We show that these viral, insulin-like peptides can act on human and rodent cells. With the very large number of microbial peptides to which we are exposed, there is a novel window for host-microbe interactions. We hope that studying these processes will help us to better understand the role of microbes in human disease,” Altindis said. 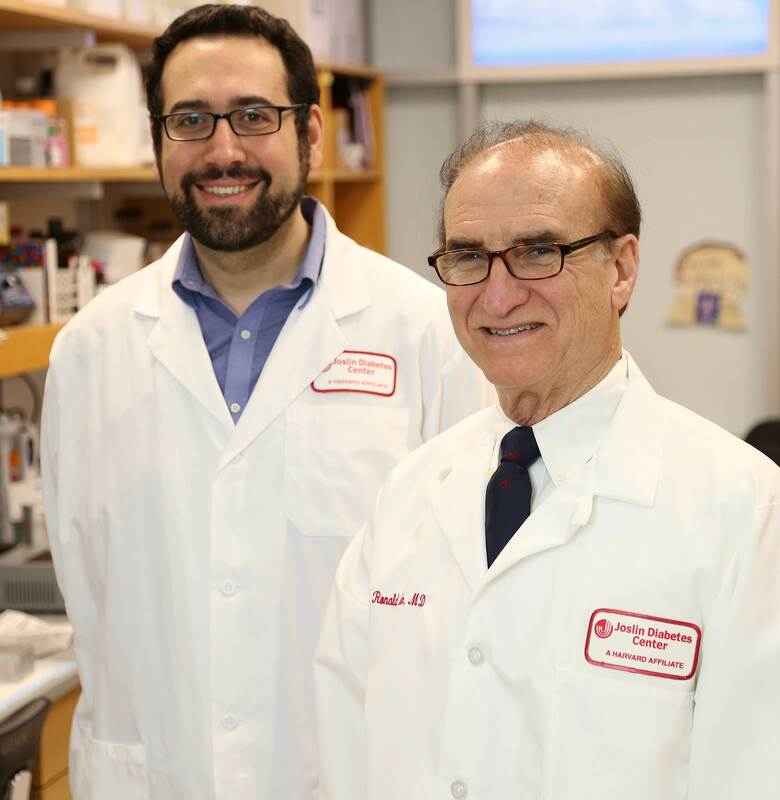 “Indeed, the discovery of the viral insulin-like hormones raises the question of what their role might be in diabetes, as well as in autoimmune disease, cancer and other metabolic conditions,” said C. Ronald Kahn, the HMS Mary K. Iacocca Professor of Medicine and Joslin’s chief academic officer. The key idea for the investigation came when Altindis, whose previous research focused on creating vaccines against bacteria, attended a Joslin seminar that discussed potential causes of the autoimmune reaction that drives type 1 diabetes. He began to hypothesize whether bacteria or viruses could create insulin-like peptides (small versions of proteins) that could help to trigger the disease. By analyzing large public research databases that hold viral genomic sequences, he and his colleagues at Joslin found that various viruses can produce peptides that are similar in whole or in part to 16 human hormones and regulatory proteins. “What really caught our attention were four viruses that had insulin-like sequences,” said Kahn, who was senior author on the paper. These viruses were from a family of viruses known to infect fish. To find out if they could be active in mammals, the Joslin team collaborated with Richard DiMarchi, professor of chemistry at Indiana University, Bloomington, whose lab chemically synthesized these viral insulin-like peptides (VILPs). Experimenting in mouse and human cells, the scientists studied whether the VILPs could act like hormones. Their experiments proved that the VILPs could indeed bind to human insulin receptors and receptors for a closely related hormone called IGF-1 (insulin-like growth factor 1). These are the critical proteins on the cells that tell them to take up glucose and to grow. Additionally, the peptides could stimulate all of the signaling pathways inside the cells that were stimulated by human insulin and IGF-1. Mice injected with the viral peptides exhibited lower levels of blood glucose, another sign of insulin action. Moreover, analysis of databases of viruses found in the human intestine showed evidence that humans are exposed to these viruses. The scientists now will broaden their search for other viruses that produce human-like hormones. “This research also opens up a new aspect to study in type 1 diabetes and autoimmunity,” he said. “It may be that these or similar microbial insulin-like molecules could be an environmental trigger to start the autoimmune reaction in type 1 diabetes. On the other hand, you could also imagine that this might desensitize the immune response and could be protective,” Kahn said. A similar question is open for metabolic diseases such as type 2 diabetes and obesity, in which the body fails to respond properly to insulin. “You could envision that these viral peptides could either protect from or contribute to insulin resistance,” Kahn said. These or similar viruses might also be a factor in certain human cancers. Analyzing such viral peptides may eventually help drug companies to design new forms of synthesized human insulins. “We might be able to learn something, for example, about making insulins that don’t need refrigeration and can be stored for long periods of time, or insulins that are absorbed more quickly or degrade more slowly,” he said. Joslin’s Weikang Cai, Masaji Sakaguchi, Wang Guoxiao and Hui Pan also contributed to the research. Other co-authors included Fa Zhang, Fa Liu and Vasily Gelfanov of Indiana University, Bloomington, and Pierre De Meyts of de Duve Institute in Brussels, Belgium. Lead funding was from the National Institutes of Health NIH DK031036 and DK033201 and the Iacocca Family Foundation.